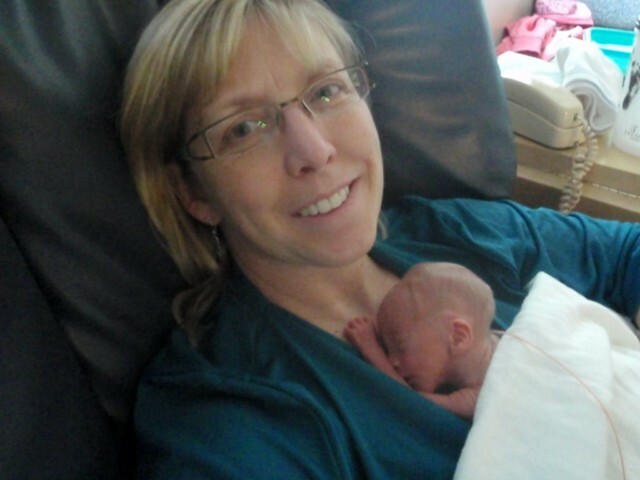 In our July edition of our Preemie Family newsletter we learned about the incredible Spencer Wayne Mackintosh Howard, a preemie born at 29 weeks, who was 2 lbs. 5 oz. at birth and spent 64 days in the NICU. 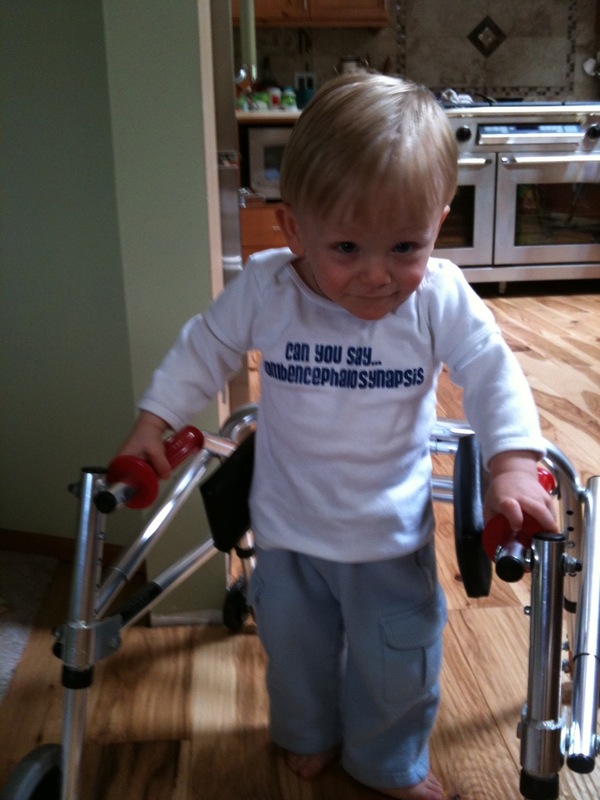 Read more in an update by his mum, Julie who also happens to be the founder of It’s A Preemie Thing that has COOL preemie clothing, adult shirts and more that keeps parents and professionals alike in style and in great humor. Tell us the name of Spencer’s malformation and what it is in simple terms. 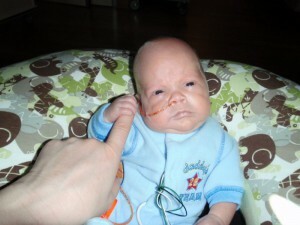 How did that affect his NICU stay? How has he triumphed over it since birth? Rhombencephalosynapsis (RES) it is characterized by the absence or hypogenesis of the vermis and the midline fusion of the cerebellar hemispheres into a single mass. 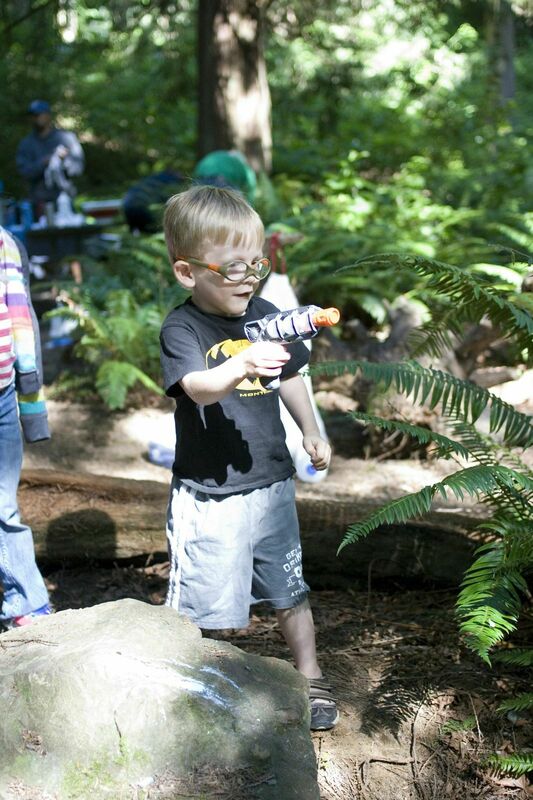 He wasn’t diagnosed until 10 months, but we knew something was wrong prior to his birth. He also had Hydrocephalus and we were planning on having to have a shunt placed after his birth. For some crazy unexplained reason, after his birth his ventricles begin shrinking and a shunt was not needed! With only approximately 50-100 cases worldwide diagnosed at the time of his birth, they told us to expect the worst (potentially not rolling over, sitting up, walking and maybe even not talking) and hope for the best. He has very delayed motor skills but is doing AMAZINGLY well! He walks at about an 18-month old level and falls all the time and has a head shake. He didn’t sit up on his own until 17 months, started walking without a walker at 21 months and started talking around 2.5yrs. He’s now has an advanced vocabulary and tries everything and lets nothing slow him down! WOW! What is life like for him now? Is he in any therapies, seeing specialists? Spencer will be four in November, attends a developmental pre-school during the regular school year where he sees a PT twice a week. During the summer he is going to PT once a week. He still has appointments with a neurologist and eye specialists 1-2 times a year. He saw PT, OT and Speech until he was 3. What would you tell a family going through the same or a similar life-threatening and affecting illness such as the one Spencer has? Although it’s so hard to do, try and find some humor in it all for your own sanity. We also were lucky that our Neurologist connected us with another family with RES and they became a great source of information. We then found more families and have a group on Facebook with families around the world. We ask all kinds of questions of each other and there is never judging, only help.